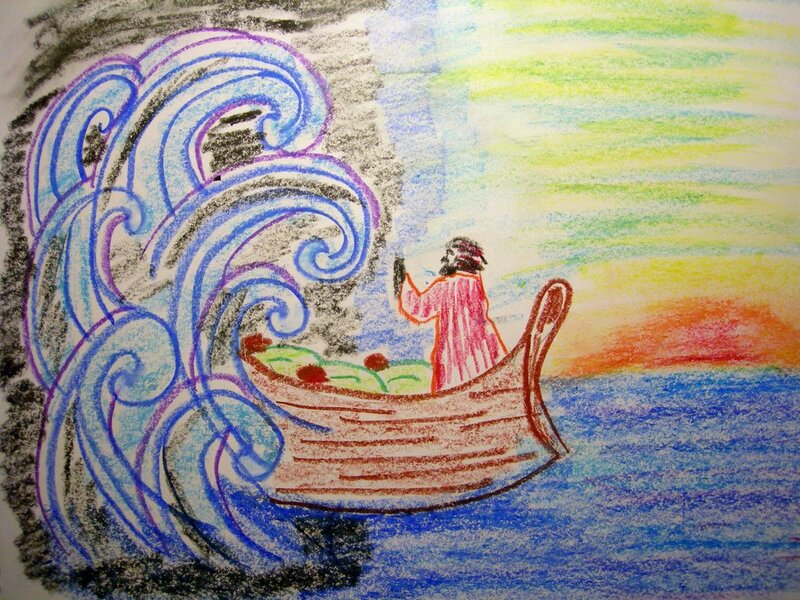 Mark 1: 39-41 "And he arose, and rebuked the wind, and said unto the sea, Peace, be still. And the wind ceased, and there was a great calm. And he said unto them, Why are ye so fearful? how is it that ye have no faith? And they feared exceedingly, and said one to another, What manner of man is this, that even the wind and the sea obey him? " 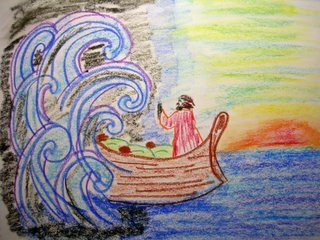 The word strength immediately reminded me of the power of Christ when He slept in the boat while the winds and waves threatened the ship. All it took were three simple words and the sea was calm. Sometimes, when the winds and waves of daily live threaten to capsize me, I can almost hear that voice say "Peace, be still," and I remember that the other side of the storm is calm. I can relax, put life in perspective, take each moment as it comes and not fear the next one.... because if I don't have the strength, He does! ... and that's the extent of my writing ability. Nice job. You choice of media gives a innocent quality while expressing a powerful sentiment. This is an excellent choice for this week's topic, and I like that you hear those words, "Peace, be still" when you're on the storm battered ship of life! Your illustrations keep getting stronger an stronger (no pun), This one almost has an ancient look to it with the stylized waves and boat.